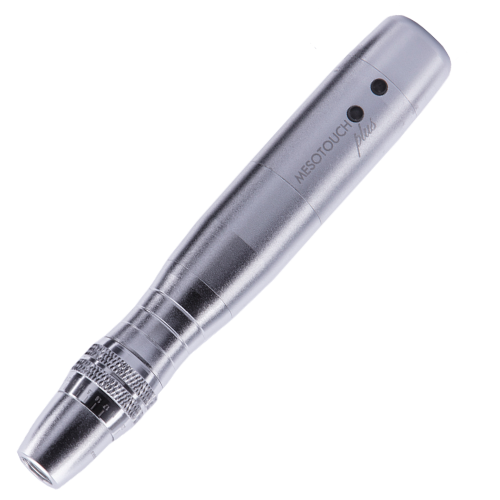 This LED Photon MicroDerma Pen is a motorized nonsurgical instrument that uses a disposable needle tip cartridge, automatic and rechargeable. Needle depth is adjustable from 0.1 mm to 2.0 mm according to the areas and purposes of the therapy. It is more convenient to treat narrow areas such as nose, around eye or mouth. Besides, the vibration speed can be controlled in 5 levels. 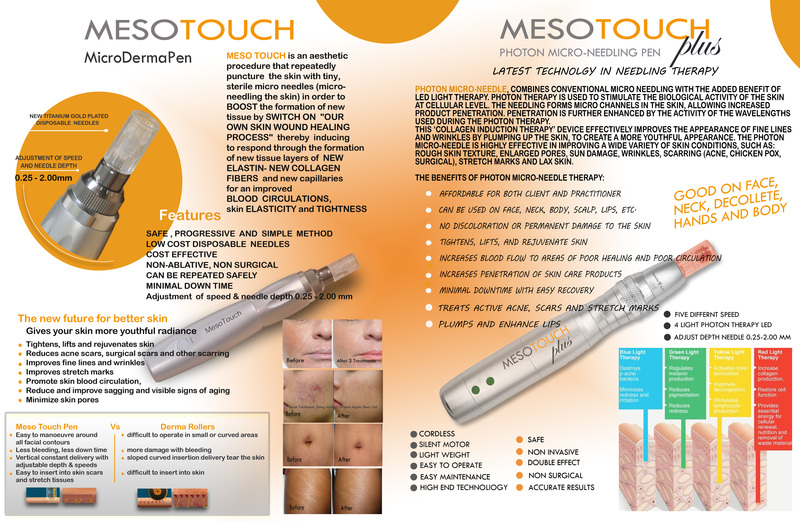 Photon Micro-Needle, combines conventional micro needling with the added benefit of light therapy. Light therapy is used to stimulate the biological activity of the skin at cellular level. The needling forms micro channels in the skin, allowing increased product penetration. Penetration is further enhanced by the activity of the wavelengths used during the Photon therapy. Light therapy is used to stimulate the biological activity of the skin at cellular level. The needling forms micro channels in the skin, allowing increased product penetration. Penetration is further enhanced by the activity of the wavelengths used during the Photon therapy. What Is Clinical Micro needling and How Does It Work? Clinical Micro needling is state of the art treatment option for skin rejuvenation, wrinkle reduction and scar revision. Small needles are used to create microscopic channels in the skin and the surrounding area stays intact. As the device is rolled over the skin the needles penetrate the epidermis and dermis, leaving micro channels. These micro channels allow increased penetration of the active ingredients contained in the Derma Serum Vitamin Complex. The fibroblasts are naturally stimulated to produce collagen, aiding in the healing process of these micro channels. The skin is healed within hours after the procedure. 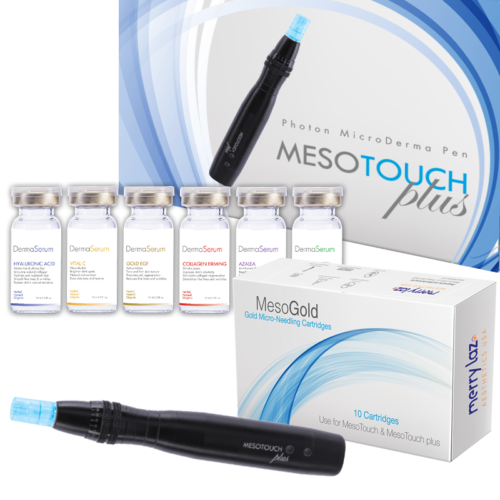 Photon Micro Needle has the added benefit of led light therapy. Light therapy has been used for hundreds of years and when applied to the skin, it causes a chemical reaction (photo-oxidation) in the living tissues, converting it into energy. Led light are produced by the varying wavelengths and each light has a unique effect on the tissue. 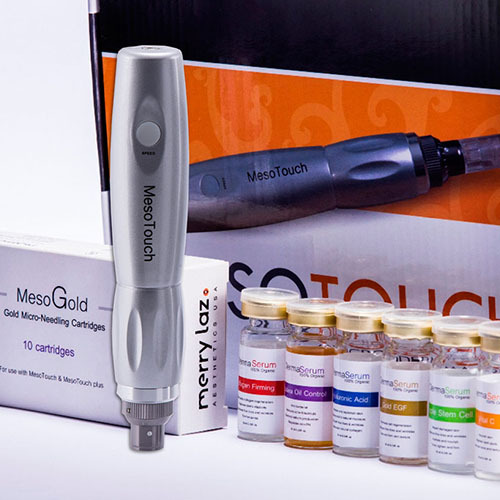 The combination of the micro-needling – and Photon color therapy will deliver enhanced results when compared to micro-needling alone. Biological tissue of human body can absorb light and convert which can lead to a series of chemical reactions—photo decomposition, photo oxidation, photo polymerization, photo sensitization. Different wave length has different functions. The light can be absorbed by cell lead to enzymatic reaction. Red light (650-730nm): Can penetrate deep skin, promote cell regeneration, stimulate collagen production, and reduce the appearance of fine lines and wrinkles, anti-aging. Green light (430-450nm): Having a clear effect on sedation, Reduce redness, regulates melanin production, sooth and purify skin, helping to speed up the healing of the minimally invasive skin. Blue light (525-550nm): Mainly for acne and skin inflammation, destroys the living environment of the bacteria that causes acne, anti-inflammatory, anti-bactericidal, and eliminate acne of the skin. Yellow light (565-570nm): Improve the exchange of oxygen in the cells, the skin cells to replenish their energy, decompose pigment, promote lymphatic drainage, improve rough skin, wrinkles, treatment of skin redness, and enhance skin immunity. Purple light (340-440nm): Is dual red and blue light, which combines two photo therapy effect. 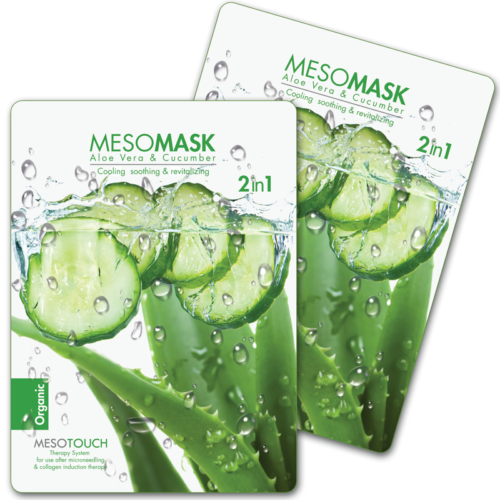 Particularly It has a good effect on repairing the acne and acne prints. Clear blue light (340-440nm): Can gradual enhance cell energy, to have a good metabolism facilitating role.